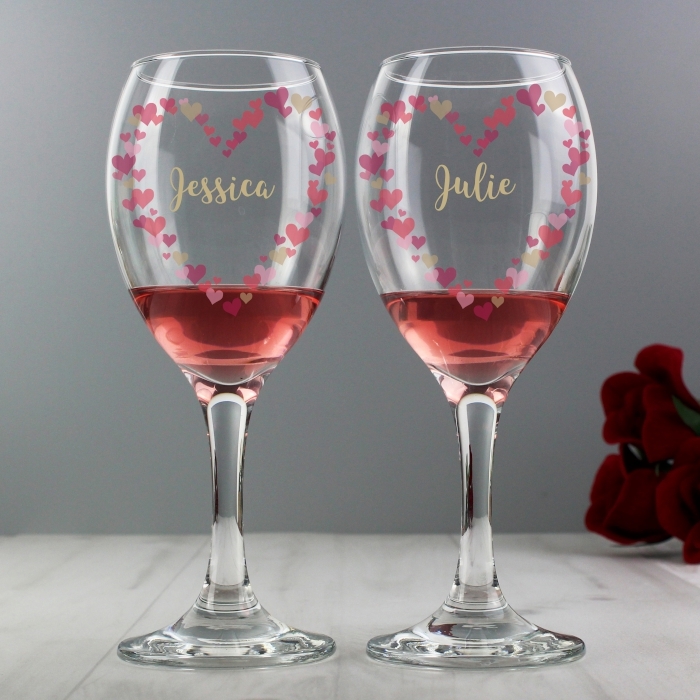 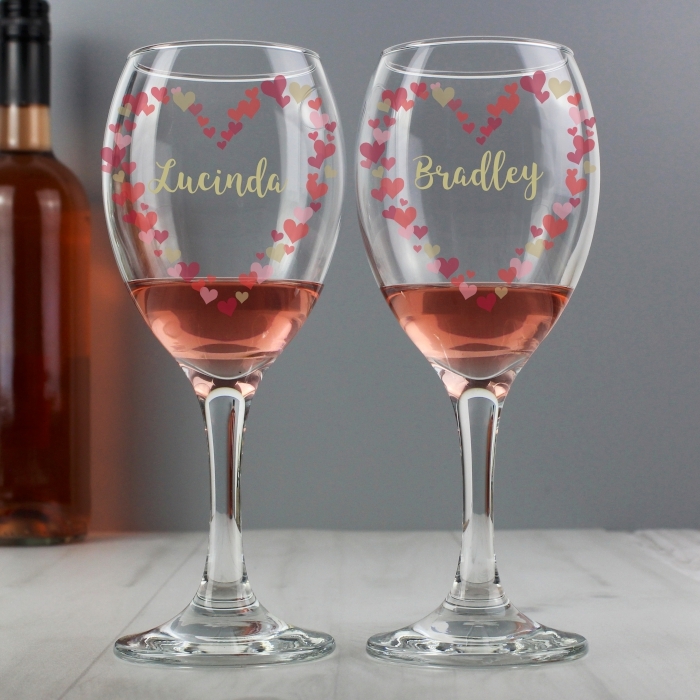 Each glass can be personalised with a name up to 12 characters. The glasses are presented in a gift box. 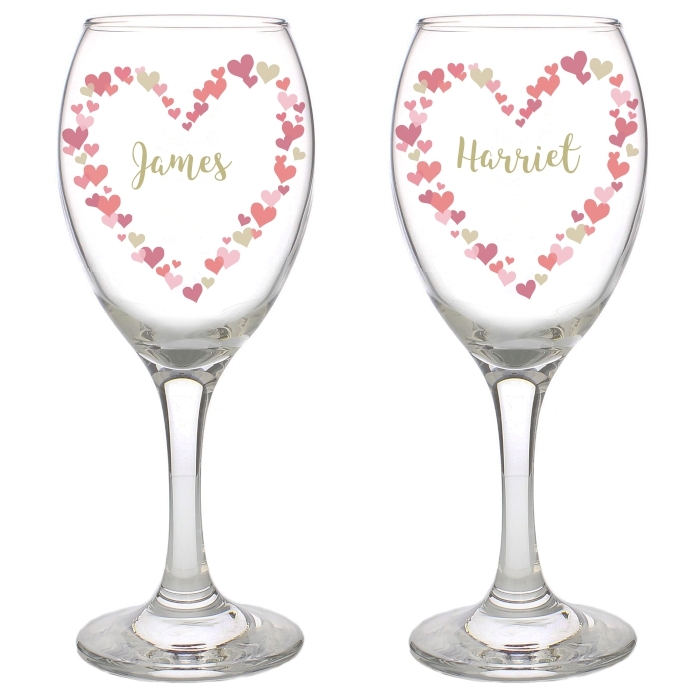 Ideal for Wedding's, Valentine's Day and Anniversaries.